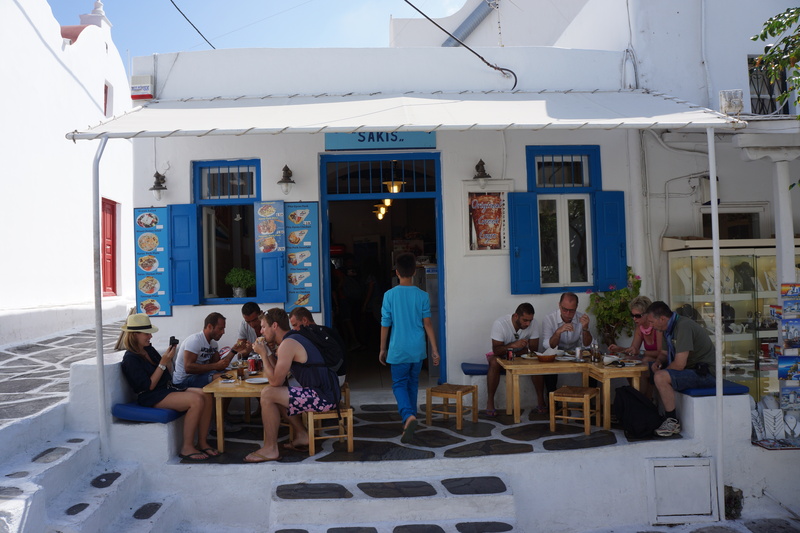 While strolling around the island of Mykonos we came upon Sakis, a very popular gyro spot to both locals and tourists. The fact that it was packed was a great sign! 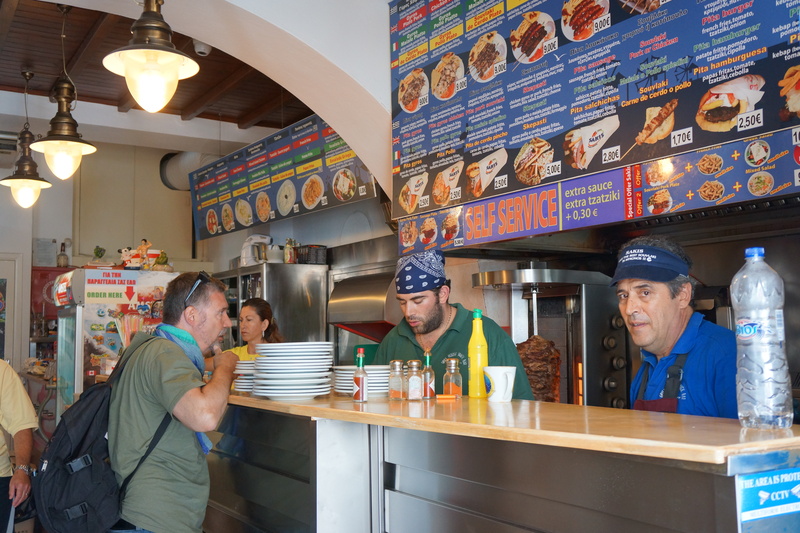 I’m not sure if you know this but in Greece, traditional gyros have fries in them…kind of like a California burrito…amazing! How come we don’t do that in the states? 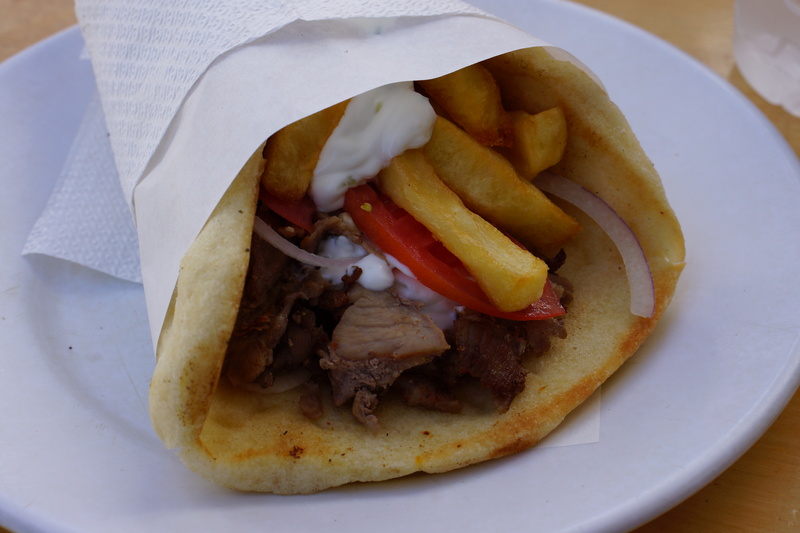 I opted for the authentic “pita gyro” made with pork and topped with tzatziki, tomatoes, onions and fries…SO good! This place is busy for a reason. By far the best on the island! And you can’t beat the price – €2.50 euro – cheap!